We will be exhibiting at the ICCM Learning Convention and Exhibition from Monday 31st October to Wednesday 2nd October. 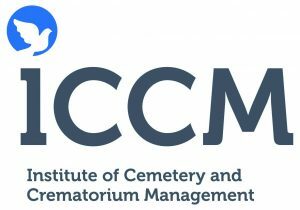 Please come and visit us on stand T14 to find out more about Epitaph, our Crematorium and Cemetery Management Software. Feel free to have a chat with either Chris or Ian to see how our software can work for you. Bug Fix – Finance/ Record Income/ Payments/ Produce Receipt now displays the initial rather than a number on the 1st line of the address e.g. Mr F Hill rather than Mr 3 Hill. Record Banking will now open the screen when requested even if there is no income to be banked, this means that all income already banked can still be seen be clicking the ‘Show all’ option at the bottom of the screen. A booking cannot now be made without a customer. When booking, there is an additional check made that the start and end time are not outside the booking times allowed for the facility. Diary Slots and Availability now both ensure that the minimum information is entered before the booking is made, i.e. date, start and end time, facility and now customer. The new and view buttons next to the customer have been moved from the booking screen as the customer is now a mandatory field and is entered before this screen, they have been added to the ‘pre’ new booking screen where the customer can now also be selected before the booking is made. Adding bank holidays through the Booking Management Utilities screen now insists on a customer for the bookings being made. When a booking is altered using the ‘Edit’ button on the booking, the note created will now include the before and after customer. Notes are now visible on the main booking screen. Added the fully paid date for the booking to the bookings list.